Once you register here, you will be able to login to the Parent Portal, register for the afterschool program, view your account and make payments. Please select whether you are enrolling in the Before/After school program or Before Care Only program at Atlanta Heights Charter School. I understand the the Before and After-School program is a licensed child care center through Bright from the Start. I, the undersigned, waive and release any claims for myself and my heirs against Artportunity Knocks, Inc., Atlanta Heights, and any of its officers, directors, employees, agents, or sponsors for any injuries or illnesses, which may directly or indirectly result from participation in our classes. This waiver and release is valid from the date of my signature below, and shall remain effective unless and until modified in writing by the undersigned. I understand that the Before/After-Care program is a PREPAID program. For weekly scholars, all fees are due on the Sunday before the week starts. Children will not be allowed to attend the after-school program if there is not a payment on the account and/or there remains a late fee balance on the account. I agree to pay a late fee of $1 a minute/per child for every minute I am late past 6:30 p.m. I understand that if the late fee is not paid by the end of the service, that your child will not be able to return until the account is paid in full. o	You may come and administer the medication to your child at the appropriate time(s). o	Your child may administer their own medication under Adult supervision. Any medication sent to the Site must be kept in the original container and labeled. o	You may discuss with your doctor an alternative schedule for administering medication. Employees will not administer any medications (with the exception of Epipen in an allergic reaction case) to scholars. If you understand the Medical Emergency policy, please check the box. 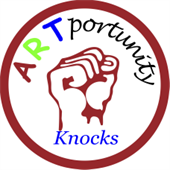 I hereby grant permission for Artportunity Knocks Before/After-Care Program to debit my account for the $20 required registration in order for me to register my child in Before and/or Afterschool programs at Atlanta Heights Charter School. I understand that my card will not be charged until I give express permissions.